The Assembly provides an opportunity to meet other people in the Maribyrnong council area who care about creating a healthy, vibrant and connected community. It’s a chance to share our common concerns or successes, hear different perspectives about the social or environmental issues and challenges we face, discover opportunities to collaborate and share resources, or simply find out what’s going on around town. The Community Assembly runs from 6.15pm to 8.30pm on the third Wednesday of every month*. Community groups can register for a meeting space from 6.15-7.15pm. 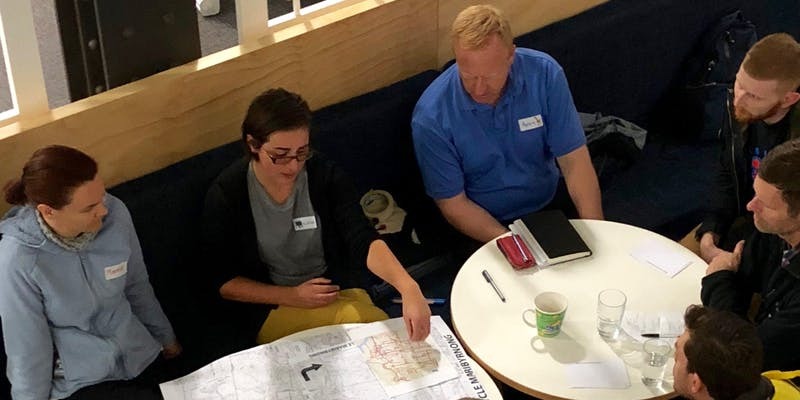 Unless advised otherwise, all meetings are open so any attendee on the night can drop in to hear what the group is working on and see if they’d like to become more involved. The social part of the evening kicks off at 7.30pm with a casual get-together of everyone attending on the night – from community groups and local residents through to people from local businesses, educational and government sectors. We encourage you to join us and invite your friends, family, neighbours and colleagues. BYO nibbles and drinks on the night, or contribute $5 towards the cost of pizza and drinks. Transition Town Maribyrnong, Inner West Community Enterprises Inc.